Have you ever been wanting to take a picture of something you're looking at under your microscope but you just can't? Well, but now the Microphone Lens turns your iPhone or Android camera phone into a portable handheld microscope. 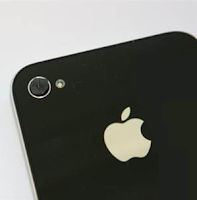 By attaching a lightweight, inexpensive device to the back of a smart phone, researchers at the University of California (UCLA) can convert the phone into a sensitive fluorescence microscope. 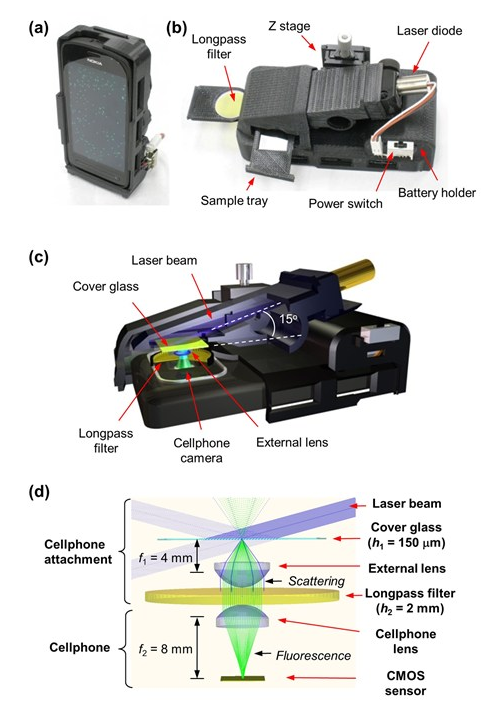 Microphone Lens allows the phone's camera to take pictures of single nanoparticles and viruses, possibly providing a portable diagnostic tool for health care workers in developing countries. Their work is funded by Nokia university research funding, the Army Research Office, the National Science Foundation, and other sources.